Is the art of making tea behind us? We don’t need an excuse for having time to ourselves, but some may find it difficult to drag themselves away from day to day obligations. Learning how to make nutrient-rich tea, especially to make chaga tea can give us a reason to stop, calm our minds and regenerate for busy days ahead. Natural occurring substances found in our Earth are not a new thing. In fact, we have all consumed fruits, berries, and vegetables, a source of nutritional benefit since time began. The only difference is over time, foods have been modified to suit to apparent wants of us human beings. Not so are the ancient medicines and healers of days now passed. Chaga is one such naturally forming compounds used for medicinal purposes by ancient civilizations. Thankfully, this King of Herbs has been and brought back to life by those profoundly affected by its potential. Health is truly our best asset. Without it, all else falls away. Choose healthily and incorporate one of the highest holders of antioxidants, and wellness supplements found today. Our health is worth defending. Look to the benefits of chaga to offer a potential solution for a range of health and wellbeing issues. To brew or not to brew. That decision is based on how much time you have, or simply how you like your tea. 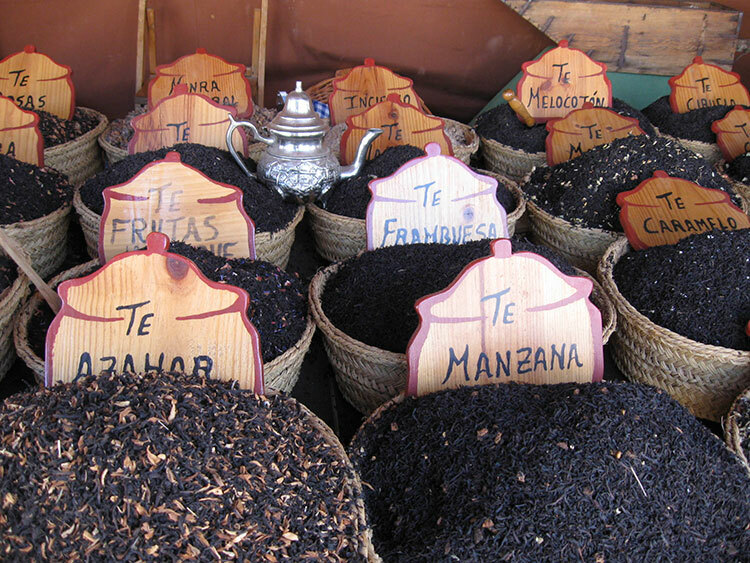 There are differing ways to use your preferred method for everyday consumption of chaga tea. Make chaga tea for hours or, for a quick pick me up, Then, only add a pre-prepared tea bag to your favorite mug. Brewing with the aim of making a significant batch to save for a few days can be a time-saving practice. Hence, did you know that you can keep chaga tea in the refrigerator? Also, freeze pre-made chaga tea into ice cube trays. Use as an accompaniment to cooling drinks in warmer months. However, if you are new to chaga and are looking to enjoy the whole experience, the best method would be to brew it in a crock-pot for some hours. Take chaga chunks; say 6 to 8 to produce about eight cups. Used distilled water or a spring water and brew slowly in the crock-pot. Enjoy the rich, dark rich brew. Who said tea parties are just for children. Social activity is essential for the feeling of well-being and happiness. Human beings are social creatures, after all. Just ask anyone addicted to the many avenues of social media While some cannot get through the day without mass social media interaction, others may feel a need for a one-on-one catch up with a close friend. We all get busy, but we can still take aside and enjoy the fine art of making tea. Tea can be wonderfully refreshing, in all its forms. Seasonal teas give us warmth when we need it, or a splash of refreshing and needed hydration when those hotter months hit. Try making chaga tea for yourself, and to share. Is not a hard as you may think. If you are wondering if you should boil chaga tea, it may depend on the type. Overheating ruins some of the herbal and medicinal teas. Boiling water for tea use is not dangerous but rather unpleasant. People need not concern themselves with the safety factor, although it can disrupt your plans for time to yourself. Many look forward to sipping on a soothing cup of their favorite brew only to have used the precious time waiting for it to cool down. Boiling water itself is not the issue. If a preference is to boil your water, that is fine. Just be aware of the kind of chaga you are using. Consequently, chaga extract and chaga tea can be brewed using boiling water. Recommendations state that raw chaga not be used with boiling water. Simply let the water cool before adding and brewing raw chaga tea. You can simmer the water again if required. It will ensure beverage retains its integrity. Temperature changes can reduce benefits. Consequently, the best temperature to brew raw chaga tea is between 50 ° C (122 ° F). Great amounts of time have been taken by chaga hunters to harvest and process chaga with the vision to retaining its finest nutritional elements. When you boil chaga that is raw, it immediately affects the melanin compound and the polysaccharides, along with other nutritional elements. We in our haste can destroy some of the very qualities we seek to add to our dietary wellness. There are no hard and fast rules about how you enjoy you chaga tea. If you have time, steeping and simmering is the way to go for the best chaga tea result. Whether your preference is whole chunks or a finer powdered product is the best chaga tea available for you. Chose the one that suits your preferred method and lifestyle. Therefore, for those on the go, convenient chaga tea bags will suit. Tea is for enjoyment and relaxation. It sits in a different category to coffee and other morning beverages. Having a tea for two? How about tea for one. Seeking the different and creative is human nature. Cooking is a creative way to discovering who we are as individuals. After all, cooking has been one of the best ways to express ourselves for many centuries. 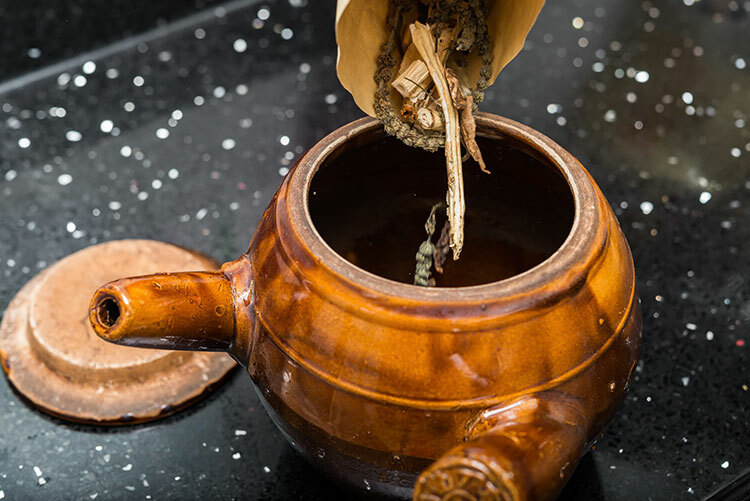 Tea, while the most common form of chaga beverage made is not the only game in town Depending on the goal, incorporate chaga into other daily recipes. Simply follow the regular instructions for making chaga tea and add the liquid to smoothies, iced beverages or even delicious evening mocktails. Feeling adventurous? Don’t forget to change things up a bit. Add some spice or citrus to your tea for an entirely new flavor. Hence, if you are concerned about how to create the perfect cup, ask your supplier for the best way to consume your favorite tea. Remember, ensuring you boil chaga tea at a pleasant temperature just guarantees a more soothing experience. FInally, chaga is considered an adaptogen. Adaptogens are compounds that help the body resist stress when adjusting to new situations or environments. Stress can cause a number of problems including weight gain and depression. One of the easiest ways to get all of the health benefits of the mushroom is by drinking chaga tea. Chaga tea can be prepared a number of ways, but the crock pot method is by far one of the easiest and most loved. All you need is a crockpot, some distilled water, and dried chaga. Place the dried chaga and water in the crockpot and set to low. After 4 to 6 hours, you’ll have a strong, healthy pot of chaga tea. Keep it warm in the crockpot, or chill it in the fridge for a refreshing summer treat. Because chaga is not particularly flavorful on its own, additional flavors may be added. 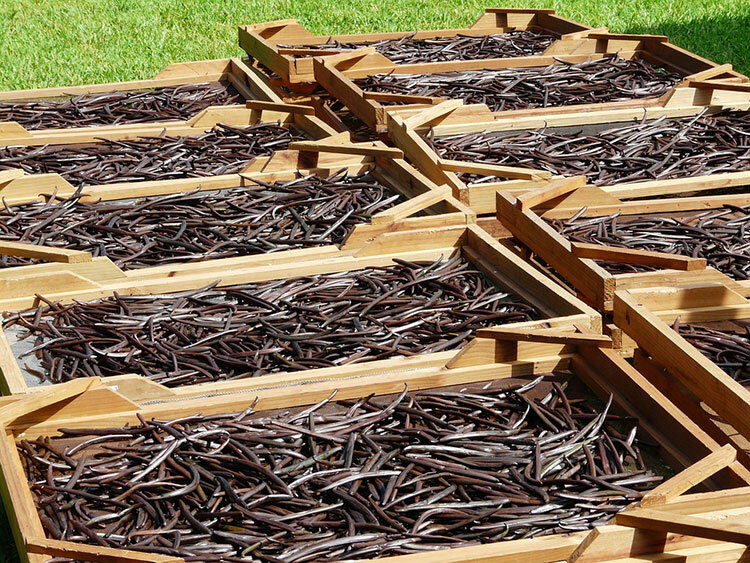 Vanilla goes particularly well with the mushroom or a squeeze of fresh lemon in the finished tea can help freshen the earthy flavor of the brew. Chaga tea is easy to make using a crock pot. Try making a pot of the healthy beverage today and see the difference adding just 1 cup of chaga tea per day can make in your life. *These statements have not been evaluated by the FDA, this product does not intend to diagnose, treat, cure, or prevent any diseases. Chaga tea is a popular type of tea that’s being used by health-minded individuals throughout the world. Thus, the many potential benefits of chaga make the mushroom a popular ingredient for many tea makers. So if you’re interested in trying chaga tea for yourself, all you need is some chaga powder and you can make your own tea. Making your own chaga tea is easy and only requires a couple of ingredients. First, you’ll need some ground chaga. You can find ground chaga online, or at your local health food store. You’ll also need tea bags. 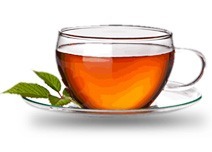 You can purchase refillable tea bags online or through a specialty tea retailer. 1.) Place 3 heaping Tbsp of chaga powder into a tea bag and seal. 2.) Place the teabag in a pot of boiling water and let sit for several minutes. 3.) Remove the tea bag, wring the excess and discard. 4.) Add sweetener, if desired, and enjoy! 5.) Repeat with the second pot of water. Chaga tea should be drinking 2-3 times daily to extract the maximum amount of nutrients from the fungus. A teabag should be used a maximum of 2 times before discarding. Making chaga tea isn’t difficult, but these pro tips will ensure that your tea experience is as good as possible. Use these pro tips the next time you make chaga tea to ensure you get the best results. If you don’t want to make your second pot of tea right away, you can simply place the teabag in a bag and freeze it until you’re ready to use it. A single tea bag should only be used twice before discarding. Chaga tea may be made in a crockpot for a slower brew. Chaga tea is also delicious over ice. Since chaga is mild in flavor, honey or lemon can be used to add flavor. Mint is also a popular addition. Dried, used chaga makes a great air freshener. The ground chaga can be used as incense throughout the home. For maximum benefits, brew chaga between 80 and 85 degrees Celsius. Making a chaga tea from chaga powder is just one thing you can do with the healthful mushrooms. If you’ve never tried chaga tea, pick up some powder today and see what you’ve been missing out on. The natural fungus is one of the newest superfoods to hit the mainstream market, so try it today and see what all the fuss is about. Are you thinking of making chaga a permanent fixture in your life? You are not alone and are in fact now a part of a large and growing group. This group of people now recognize the health benefits of chaga. Whether a newcomer or a practiced chaga lover, there are a few things you can consider if you want to get the best from your chaga experience. The first step in enjoying a great chaga experience is to have the best products available to you. Choosing the supplier for your health alternatives is just as important as choosing the right medical practitioner for yourself. Or the right pediatrician for your children. Experiencing knowledge, passion and excellent customer service starts with you. Choose the best as the foundation for your chaga present and future. One of the most beneficial things to enjoy is time to yourself. You might be surprised at how much a little peace and quiet can help you to deal with life’s day-to-day problems. When it’s your time to unwind, there’s nothing better than some chaga tea and silence. Take time for yourself. It may just help you get the most out of preparing to enjoy your chaga tea. Why not make it a regular occurrence. Using a raw or an extract dietary supplement can seem a bit daunting at first. You can have all the best intentions, but can still be unsure about the correct method for obtaining the best from chaga. It is natural to have hesitation and uncertainty at first. Water temperature can mean the difference between great chaga tea and a burnt flavor. That flavor may deter you from ever having it again. The problem with many natural substances lies within the sensitivities of the inherent compounds. Severe hot water will only serve to burn the chaga, and possibly kill off any benefits this medicinal mushroom holds. Keep the water for your chaga tea at around 80 degrees Celsius for best results. Chaga lovers, and those new to this king of herbs, now find themselves with a large choice of products suitable for all lifestyles Make a tea from powder in your favorite teacup or brew up a pot and share it with some good company. 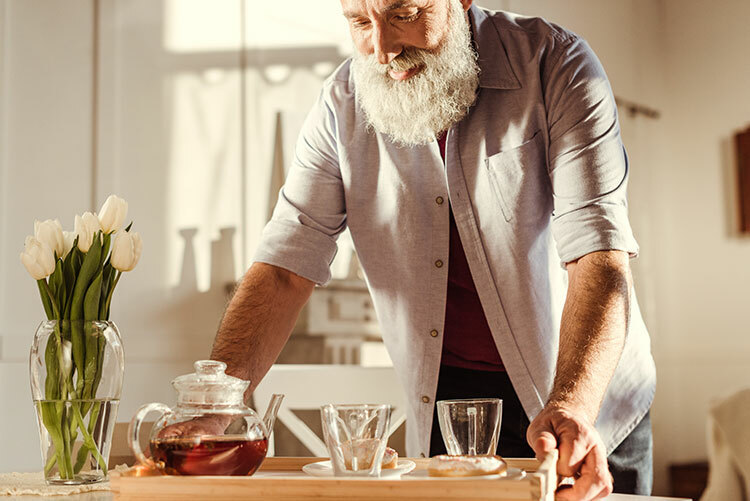 For the businessman or woman, a few teabags in your briefcase will have you enjoying chaga, not just as a start to the day, but also as a noon and afternoon boost for your health. For the time-poor among us, and that is quite a few, there are solutions available so you can still enjoy chaga tea at any time of day. 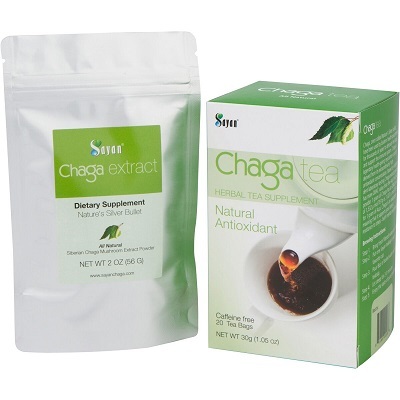 Chaga comes in all forms of tablets, teabags, and supplements for those times when you simply can’t take time out. You may find these products can be the ultimate convenience beverage. Gaining the benefits from chaga and its health properties is just a matter of choosing the right product to suit the demands of your life. Taking advantage of the health benefits of chaga is one thing, but keep in mind when you choose to partner with chaga, this medicinal mushroom can help you stop, relax, and enjoy life. 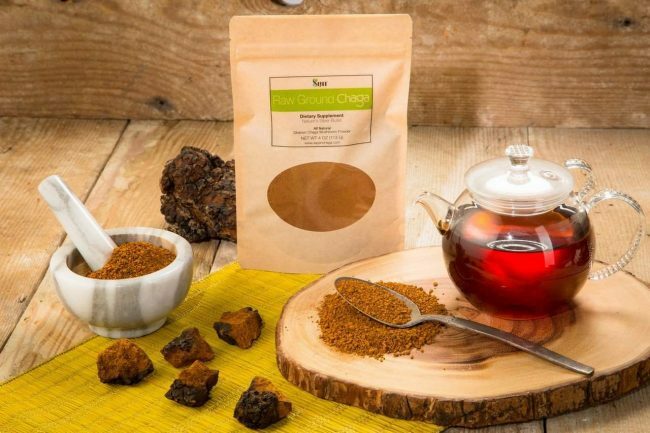 Chaga has become known as a healer of ailments, and an energy rescuing, immune system champion that may become a must-have in your daily health regime.